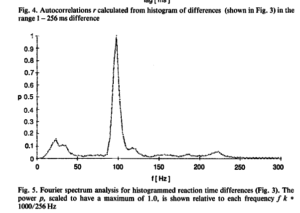 In my last lab we discussed findings on the periodicity of reaction times (e.g. referred in Van Rullen 2003). These studies are usually old (Starting with Harter 1968, Pöppel 1968), with small N and not many trials. There was also a extensive discussion in the Max-Planck Journal “Naturwissenschaften” in the 90s (mostly in German, e.g. Vorberg & Schwarz 1987). A methodological critique is from Vorberg & Schwarz 1987. More discussion in Gregson (Gregson, Vorberg, Schwarz 1988).  A new method to analyse periodicity is proposed by Jokeit 1990. This is the newest research I could find on this topic. 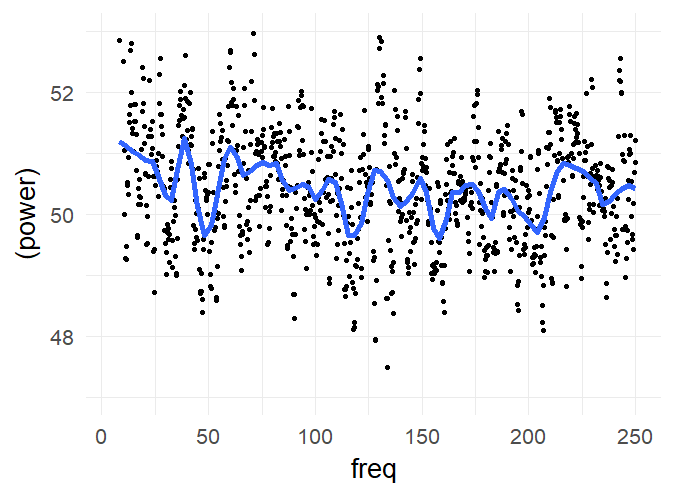 I stumbled upon a large reaction time dataset (816 subjects, á 3370 trials, 2.3 million RTs) from the English Lexicon Project (Balota et al 2007) and decided to look for these oscillations in reaction times . After outlier correction (3*mad rule, see below), I applied a fourier-transformation on the histogram (1ms bins, accuracy of RT=1ms). 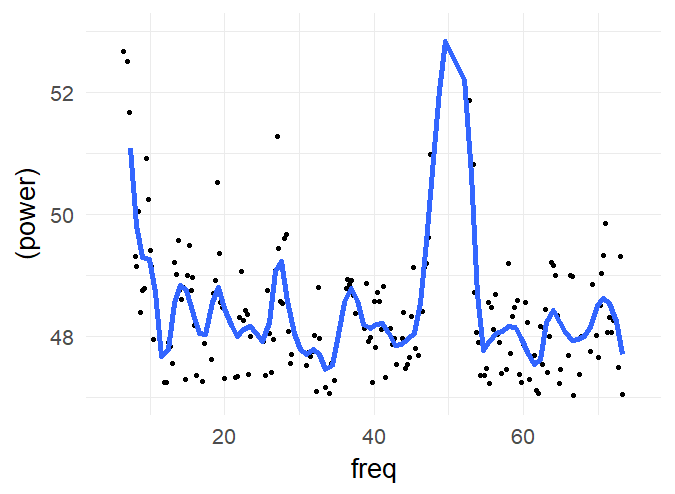 Then I looked for peaks in the spectrum which are consistent over subjects. There are no peaks in the spectrum which I consider as consistent over subjects. 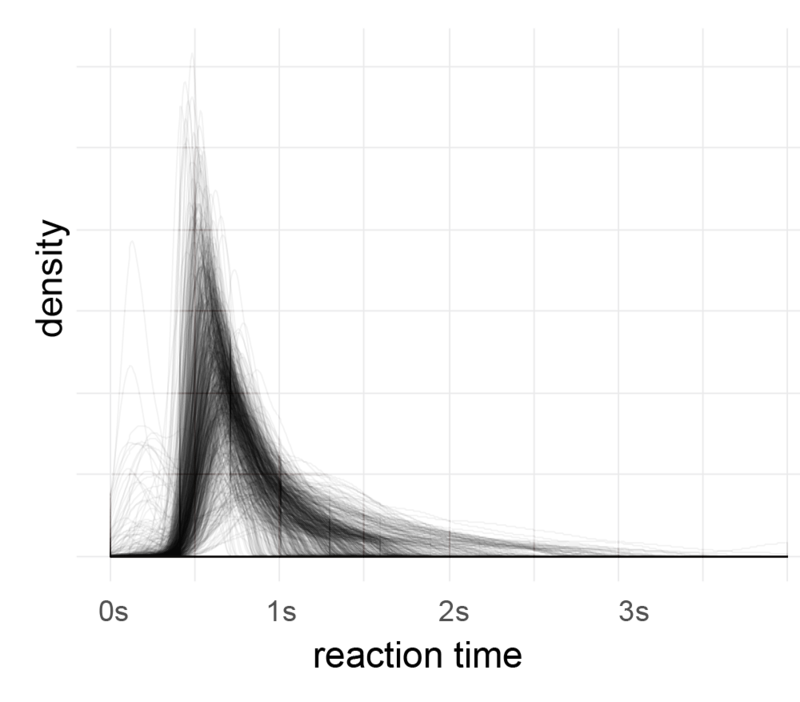 I included higher frequencies (up to 250Hz) to get a visual estimate of the noise level (at such high frequencies, an effect seems utterly implausible). But of course, I’m ignoring within subject information (i.e. a mixed model of some sort could be appropriate). 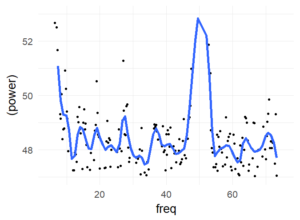 In this large dataset, I cannot find periodicities of reaction time. 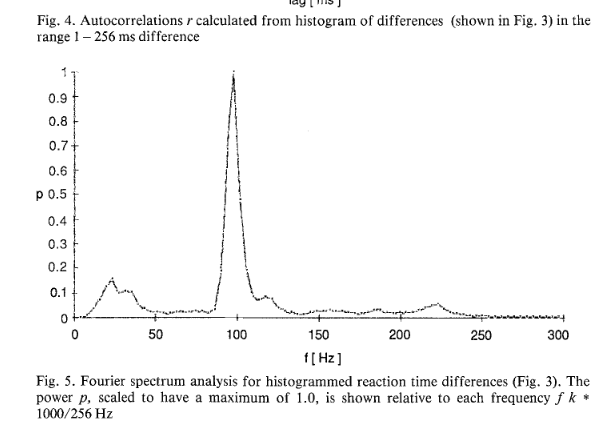 I had results like in Jokeit 1990 (but with 50Hz not with 100Hz), when I was using a bin-width of 5ms to 10ms bins. 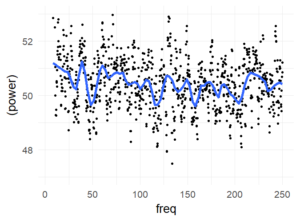 The peak (in the figure with 6ms bins => 150hz) shifted depending on bin-size. I’m not perfectly sure, but I think it has to do with how integers are binned. In any case, if the effect is real and not an artefact of bin-width, it has to show up also with higher bin-sizes. Please note that Jokeit 1990 used a different methodology, he calculated the FFT on the histogram of reaction time **differences**. I tried to use density estimates, but so far failed to get better results. 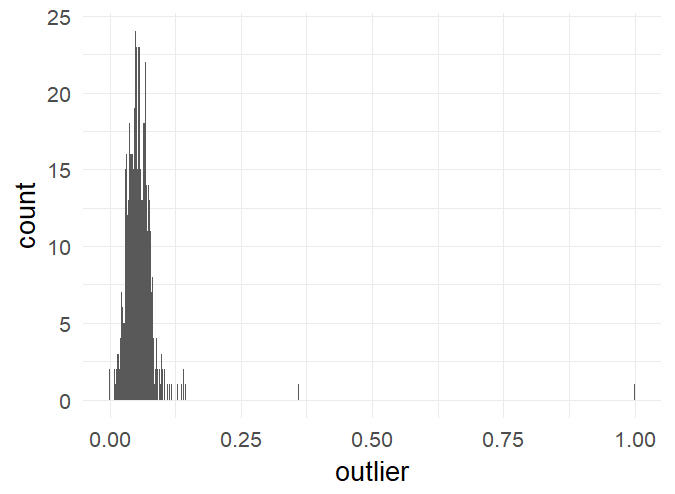 Percentage of trials marked as outliers. This is well in the recommended range of 10% (Ratcliff).